A selection of various styles of Nativity sets to celebrate the birth of Christ. 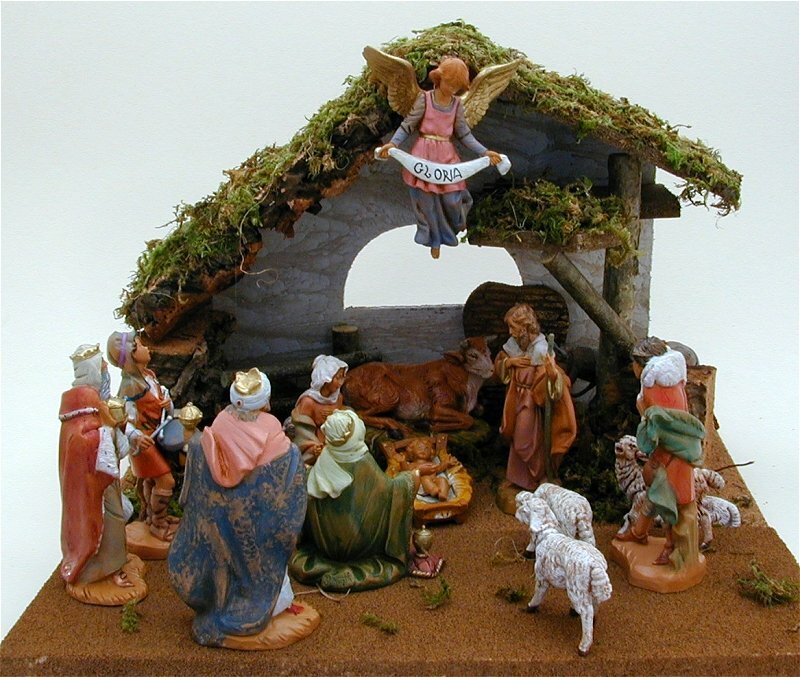 Also included is an extension of the ground to place the figures on in front of the manger as shown in larger photo. A bonus this Christmas is a free figure included with this set, the Little Drummer Boy. Proud of his multi cultural ancestory, Lawrence Vargas inspirations stem from his rich and varied lineage. It is the influence of early Aztec Indian beginnings as well as his roots in Mexico,Spain and South America that emerges as a unique blending of cultures in his art. This 'mestizo' or mix of cultures intertwined with the faith and tradition of his New Mexican ancestry is reflected in Lawrence's distinctive, artistic style sought out by collectors the world over.